Occurs commonly on and around Bjørnøya, whereas on Spitsbergen it is scarce. 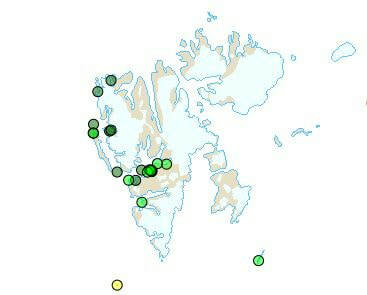 A few have been found breeding at two places on west Spitsbergen (Fuglehuken and Midterhuken). 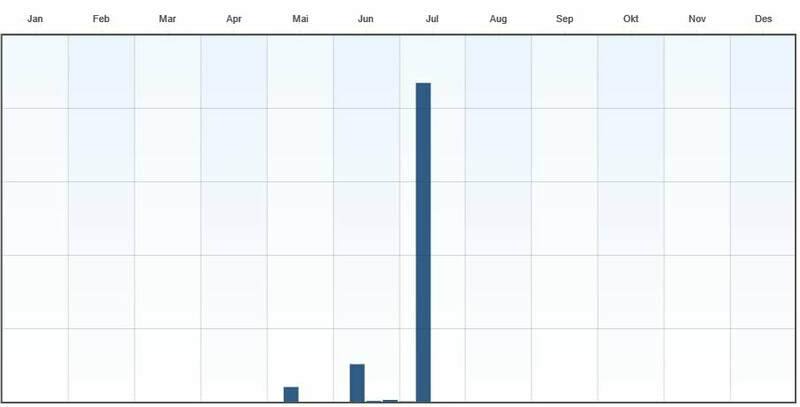 The breeding population numbers over 150,000 pairs on Bjørnøya and probably over 100 pairs on west Spitsbergen. Features: 38-46 cm, 0.9-1.3 kg. ♂=♀. Can easily be mistaken for Brünnich’s Guillemot, but lacks the pale bill stripe, has a slimmer body and clear black streaks on the flanks. 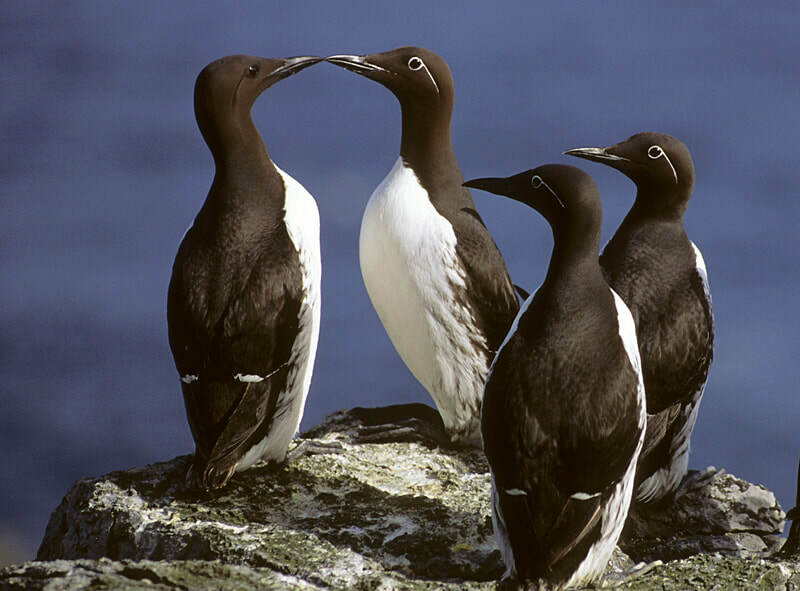 About half of the Common Guillemots are of the variety known as «Bridled Guillemot», with a white ring round the eye and a white line running back from it. The young resemble the adults in winter plumage when they leave the bird cliff, but are considerably smaller. ​Breeding: Breeds on ledges on steep bird cliffs. Lays one egg directly on the ledge.